Cartoon by Paul Mason. According to the Australian National Statement on Ethical Conduct in Human Research (henceforth referred to simply as the “Australian National Statement”), human research is any investigation that is conducted with people, about people, on tissue from people, or using data concerning people. In 1946 the atrocities committed by Nazi scientists in the name of research were investigated in War Crimes Tribunal at Nuremberg. 16 doctors and administrators were found guilty of “willing participation in the systematic torture, mutilation, and killing of prisoners in experiments”. This led to development of the Nuremberg Code in 1947, the first international code of research ethics. 1. Exploitation of participants. Until the 1970’s highly unethical social and medical studies were common. A good example was the experiment among a group of 399 African American men afflicted with syphilis unknowingly from 1930s to 1970. Although there is no evidence that in today’s social research these kind of cases still exist there may be situation when researcher’s interest are over the participant´s interests. 2. Deception. 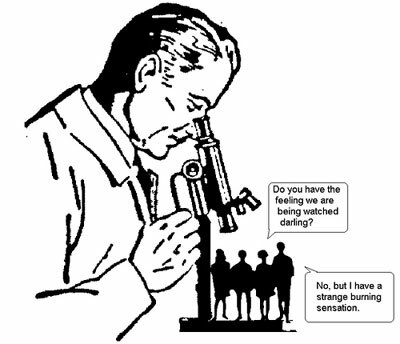 When a field interviewer misrepresents the true purpose of research it is considered deception. The participant lies to participants to obtain information he/she could not otherwise obtain. It may happen when, for example, the interviewer pretends he/she is a student in a certain subject in order to obtain critical information about a competitor. 3. Overlook informed consent. Researcher should obtain an informed consent of participants. “Informed consent” means that an individual or community understands what is going to happen if they agree to take part of a social experiment or be interviewed for a study or survey. Researchers have to entirely inform subjects about what they will be taking, the risks of participation and non-participation, and how the data generated from the study will be used (ie, the findings might be published in an academic journal and promoted in a newspaper). The trick to informed consent is that it has to be meaningful (Seay, 2014). It’s not enough to just tell subjects about the study; they need to understand what that means, and to be capable of saying or signing a document saying, “Yes, I understand, and I’m still willing to participate.” This leads us to a second major concern for ethical research: the treatment of vulnerable populations. There are some groups of people who by definition are unable to give meaningful informed consent. These include children, institutionalized persons (prisoners and those confined to mental health institutions), and anyone else who might not be capable of understanding the full implications of their decision to participate in a study. Furthermore, the publication of information from personal interviews or focus group must either obtain the explicit consent of the people involved or omit personal details to protect identities. In case the participant recognizes himself or herself in the publication and feels unpleasant, researcher may be in trouble. 4. Harm people in collecting data. The interviewer’s questions may confront people with sensitive issues, like the severity of illness or the lack of prospect in their future life. In some cases, it may produce an internal crisis for these people. It is an ethical responsibility reflects about taking such risks for the sake of the research. 5. Personal data protection. The danger of misuse personal data has led government to increase legislation on this issue. A good example is the implementation of the European Union Directive 95/46/EC. This provides protection for individuals in relation to the processing, storing and movement of data. As a researcher, one may face this kind of situations, especially as to personal data of potential participants in focus group. Market research companies usually own their own dataset with potential participants. To communicate with then, details as address or phone number must be stored. For this reason, it is recommendable to compliance the current legislation. As long as personal information is processed and stored in the research’s computer, a number of legal rules must be compliance.Finally, research ethics has a lot to do with reflection and sensitiveness. Apart from the formal rules and norms, safeguard participants’ interest requires a constant exercise of reflection and sensitiveness from the researcher. A good way to do so is try to take participants’ role and think from their perspective. How would one feel? Author Xaquin S. Pérez-Sindin LópezPosted on March 28, 2013 April 3, 2015 Categories Ethics in research, research designTags deception in market research, Ethics, harm people in market research, informed consent in market research, personal data protection, research ethics1 Comment on What is ethics in research and why is it important? Although both quantitative and qualitative methods are frequently applied separately, the truth is that its combination is more and more common. Actually, it is a broadly covered issue in the literature. Bryman (1992) identifies up to eleven ways of integrating both perspectives. 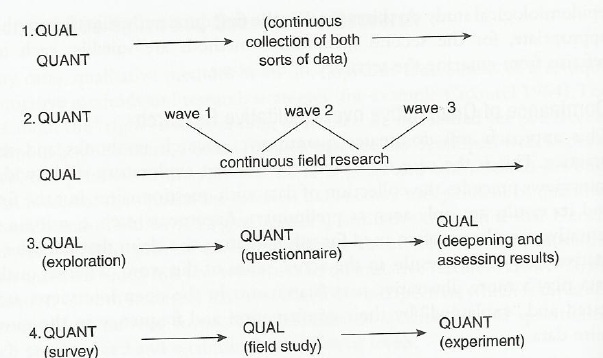 On top of that, some authors suggests that such combination is worthy of being qualified as intellectual movement (Tashakkori and Teddlie 2003b: ix) If quantitative research and methods are seen as the first, qualitative research as the second movement, the so called “mixed methodology” is declared to be “a third methodological movement”. 2. Superiority of qualitative over quantitative methods. Beginning with quantitative study in order to establish a sample of respondents and identify the size of your potential market and then using qualitative to provide a more general picture of some particular target, as we have seen in the case study about José. 4. Triangulation of methods. Neither qualitative nor quantitative is seen as superior or preliminary. They complement each other. The organization of a focus group hasn´t been set up as a preliminary stage of a phone survey, but just as a different way of analyze the same phenomenon. Sometimes, even people interviewed in a phone survey are invited to take part of a focus group. The answers in the survey are analyzed for their frequency and distribution across the sample (20% of population consume wine twice a week; the older the consumer the higher the frequency of consuming). Then the answers in the focus group are analyzed and compared, and, for example, a categorization is developed (three kinds of consumers have been identified within the focus group: consumer A or “weekend consumer, consumer B or “everyday consumer” and consumer C “sporadic consumer”) Then the distribution of the questionnaire answer and the categories are linked and compared. Furthermore, as we will have the opportunity to cover in future posts, the triangulation may take place with regard to data and analysis too. Bryman, A. (1992). 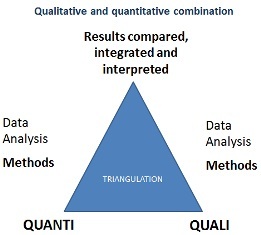 Quantitative and qualitative research: further reflections on their integration. Mixing methods: Qualitative and quantitative research, 57-78. Seen in Flick, U. (2009). An introduction to qualitative research. Sage Publications Limited. Miles, M. B., & Huberman, A. M. (1994). Qualitative data analysis: An expanded sourcebook. Sage Publications, Incorporated. Seen in Flick, U. (2009). 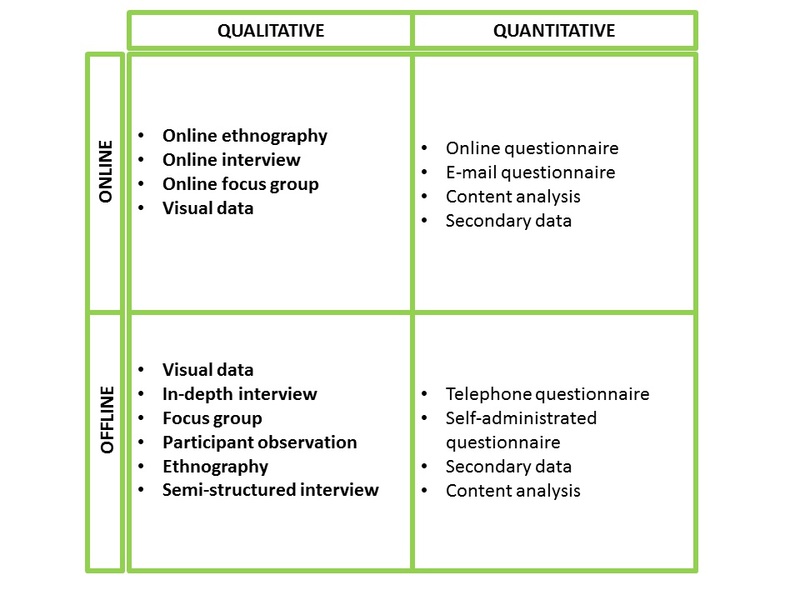 An introduction to qualitative research. Sage Publications Limited. Teddlie, C., & Tashakkori, A. (2003). Major issues and controveries inthe use of mixed methods in the social and behvioral sciences. Handbook of mixed methods in social & behavioral research, 3-50. The mastering of the so called “law-like generalizations” (Saunders et at, 2009) produced within natural science as the above example, as well as the supremacy of the way of thinking using reason that give the name to the so called Age of Enlightenment (or simply the Enlightenment or Age of Reason) would eventually influence the development of social science in the 19th century. Such authors as Auguste Comte would claim that only phenomena that you can observe will lead to the production of credible data. Like natural science does. Emile Durkheim´s theory on suicide exemplifies very well this idea. Durkheim explores the differing suicide rates among Protestants and Catholics, arguing that stronger social control among Catholics results in lower suicide rates. In other words, suicide may be explained by a number of social laws. What do Durkheim and Newton´s laws have in common? Both establish causal relationships between variables and both try to explain the reality (society and nature respectively): net force/velocity relationship on the one hand and the religion culture/suicide rate one on the other. Many law-like generalizations have their precedent in suicide Durkheim theory. We all listen to statements based on this principal in media every day, e.g. “the more an employee earns the more satisfied is at work”, “the more economically advanced is a country the low is the birth rate in the world” This philosophy, so called positivism, is actually the essence of the quantitative approach in research. Furthermore, many of today´s decision making are based on this philosophy. Human resources management is often based on such relationships. “High productivity rates mean that one employee is working hard. For this reason, the manager decides to increase his salary“. It is simple common sense, isn´t it? But, does relationship implies causality? Something like that must have wordered Max Weber at the turn of 20th century, who is considered one of the founders of antipositivism philosophy and, therefore of the qualitative approach. As Business Week’s Vali Chandrasekaran writes, “Correlation may not imply causation”. Although pretentious, the bellow graphic illustrates very well this argument. 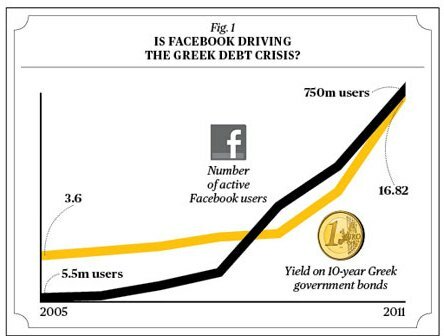 “Is facebook driving the Greek debt crisis?” Hopefully you already know better which way the wind is blowing regarding the limits of quantitative research. Moreover, Max Weber argued that the relationships of human “social action” might be spurious. As an antipositivist, making generalizations are not the essence of social research. It does not mean that one should not seek relationships between variables, but there is no reason to do law-like generalization. The emphasis is place, on the contrary, on obtaining a more accurate understanding of the phenomena under study. As well as positivist philosophy is the essence of the quantitative approach, the antipositivist one is the essence of qualitative. Lewis, P., Saunders, M. N. K., & Thornhill, A. (2009). Research methods for business students Pearson. The qualitative approach within the market research industry is of increasing importance. Why this approach is required in many occasions? CASE STUDY¹. 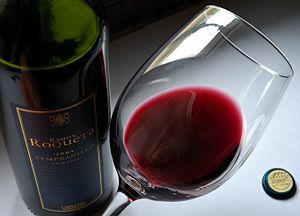 Imaging your company want to export Spanish wine to Poland. In this country, it is well known that either beer or vodka are more popular drink than wine, but nothing is clear about the Polish delight in wine, and even less in Spanish wine. For this reason, the company has contacted a market research agency and they plan to develop a telephone survey of a Polish population representative sample. Results show that just 10% of population drinks more than one glass of wine a month, instead of the 20% in other eastern European countries. Also, results show that the consumption of wine is less common in the group between 25 and 35 years old. The researcher seems to have a clear marketing strategy. QUESTION: WHAT MAKES THE QUALITATIVE APPROACH DIFFERENT FROM QUANTITATIVE ONE? The quantitative approach is very important to quantify the reality. The representative percentage of wine-consumers in Poland or the frequency of consuming is unobtainable but by mean questionnaire or statistics. Ad hoc questionnaire may help us also to understand opinions and attitudes of people toward your product by mean opinion scales as well as including some open-ended questions. 1. Time: especially in phone questionnaires, the interviewees feel generally in hurry either by the surveyor or by him/herself. On the contrary, the more calm and tranquil atmosphere provided by qualitative methods as interview or focus group, encourages a major commitment and engagement. 2. Interaction: while the interaction in quantitative methods in occasions does not even exist or is limited to a phone conversation, in the qualitative one, the number of interaction increases exponentially, allowing at the same time a major capacity to adjust questions and improvising new ones as the interviews progress. In the case of the focus group, the interaction is produced also among the members of the group which represent a great advantage of this technique, since many of the most profound opinions we have are just seen clearly by ourselves after discussing with others. 3. Depth of the analysis: quantitative approach usually deals with countable behaviors or resources: number of wine bottles sold in Poland last year, number of wine glass per week, etc. it hardly allow researcher gets know about emotions, values and beliefs. 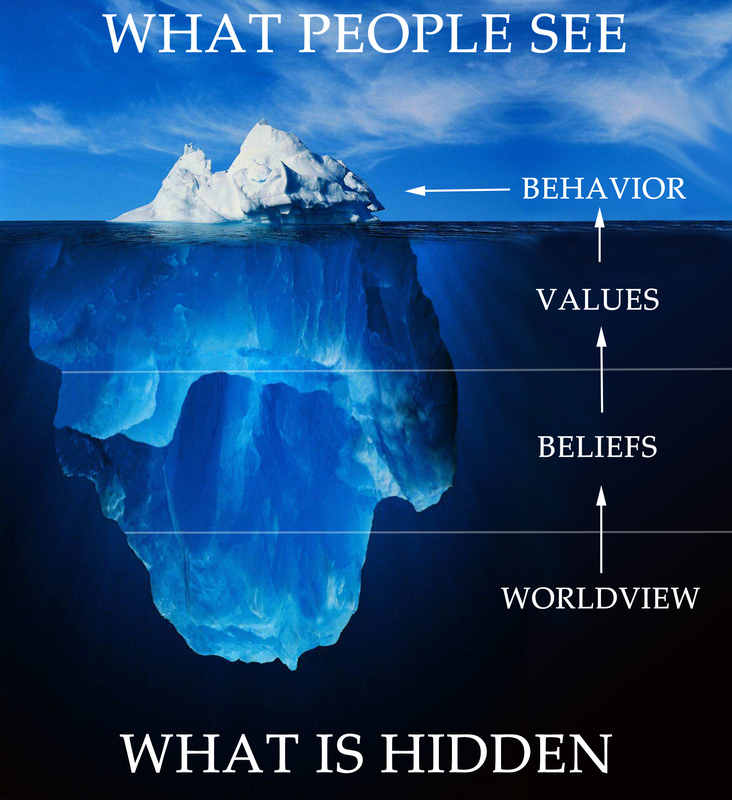 Making use of the iceberg metaphor, focus group, interview, but also the analysis of comments in forums or just graffiti in a wall expresses better than nothing our deepest view of the world. Finally: critical reflection for a organization manager: What values do your brand transmit? Is your organization media strategy connected efficiently with your buyers? What is more, is your organization media strategy connected with your potential market? Just when a company reach to understand its target´s deepest and detailed opinions, values and beliefs, the marketing and communication strategies implemented may cause a truly impact on the sales. As one semester student of qualitative method for market research (MR) you must bear in mind that attending this course is unlikely to make you an expert in this discipline. It takes years to become a professional of market research industry¹. However, both if you want to join this exciting career or if you just want to make use of MR to fundament your future decisions as manager, the content of this semester it is going to help you to get familiar with this industry and at most to allow you a major expertise in one specific technique. This post has been designed as a initial step to get familiar with some of the existing MR technniques², before further explanations on the particularities of each (bellow some of them are linked to Wikipedia, so that you can meanwhile obtain further info on your own).